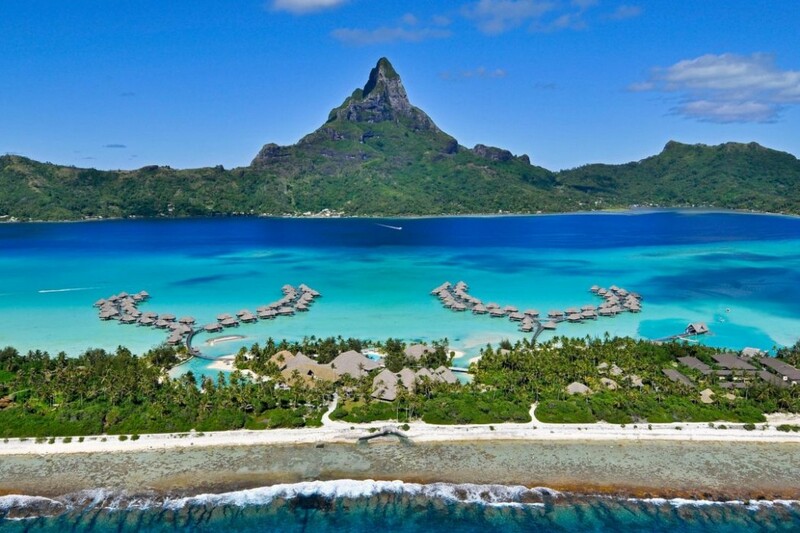 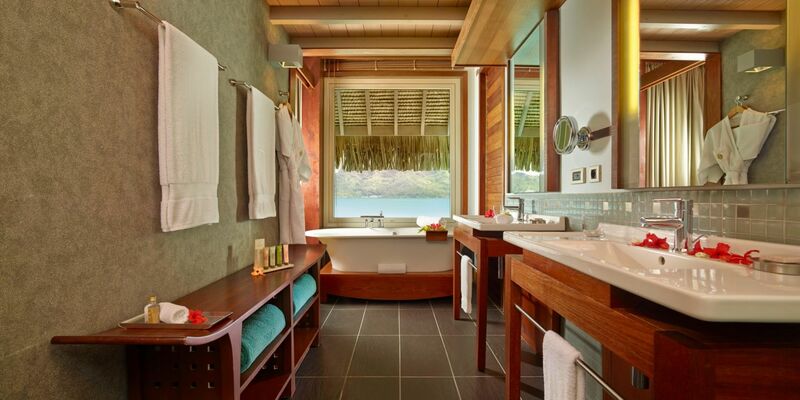 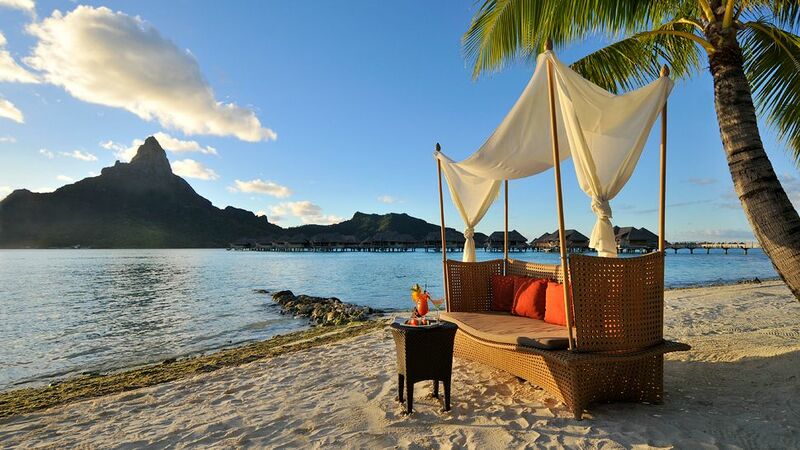 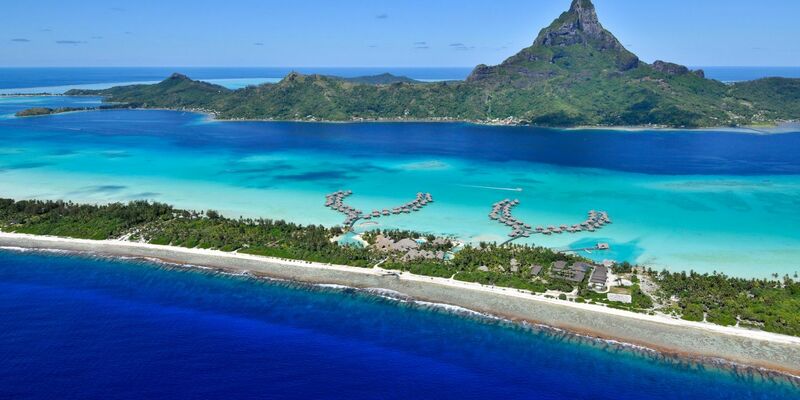 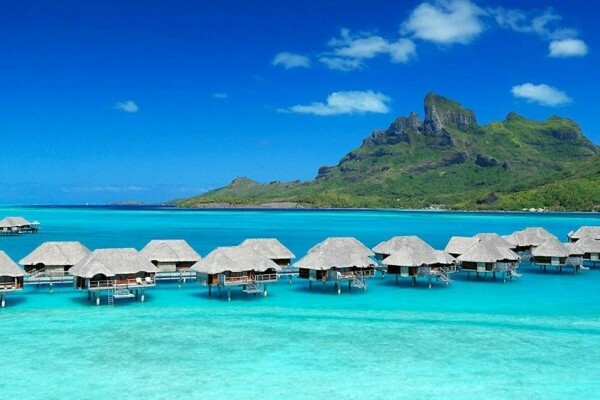 The InterContinental Bora Bora Resort & Thalasso Spa is a floating oasis in the South Pacific. 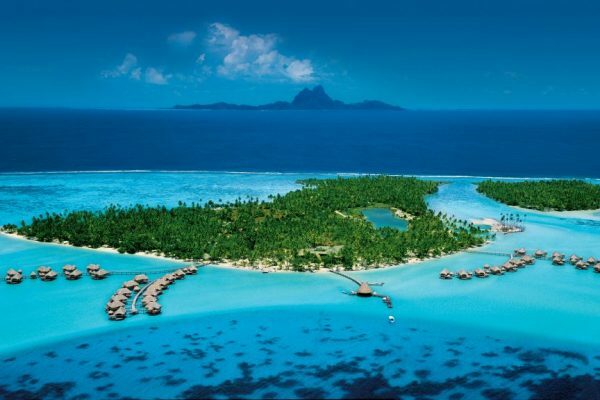 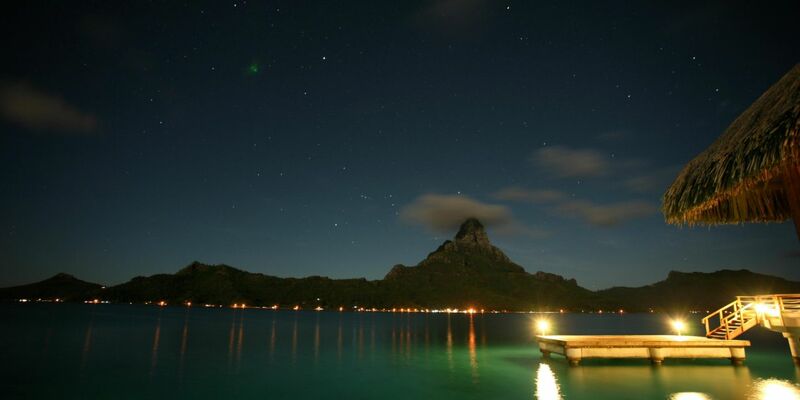 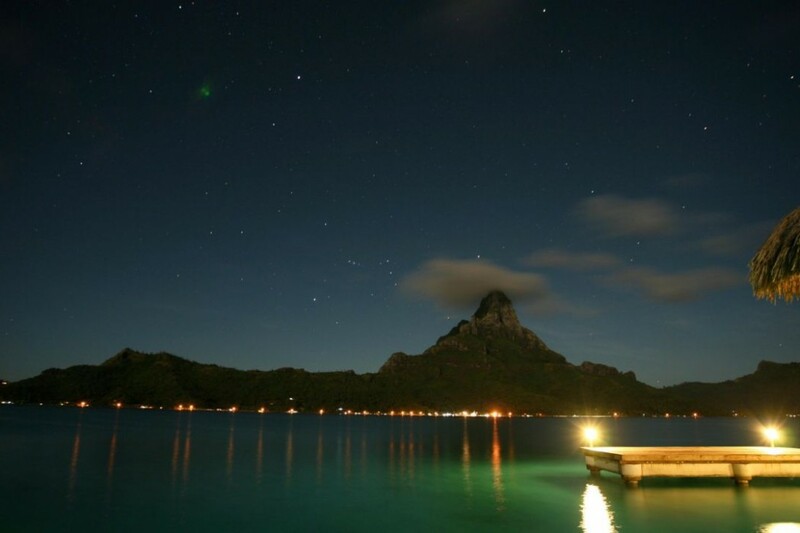 On the idyllic Motu Piti Aau, an eastern atoll encircling the twin peaks of the central island, Bora Bora. 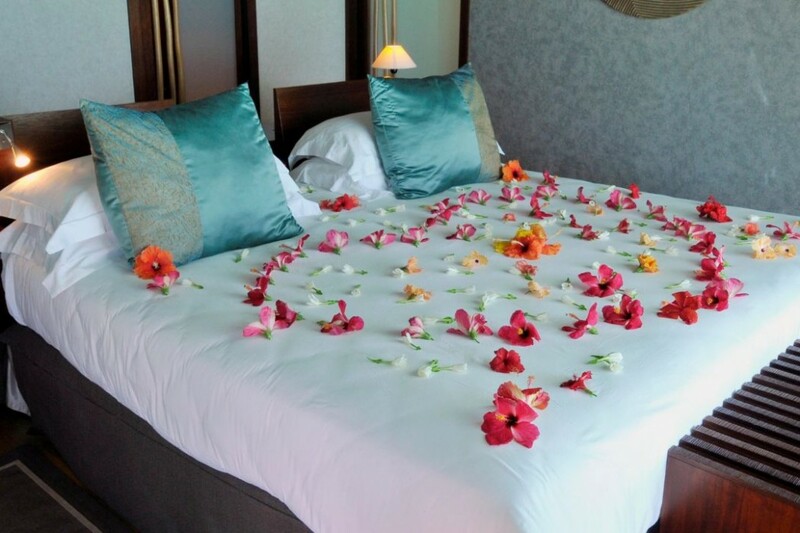 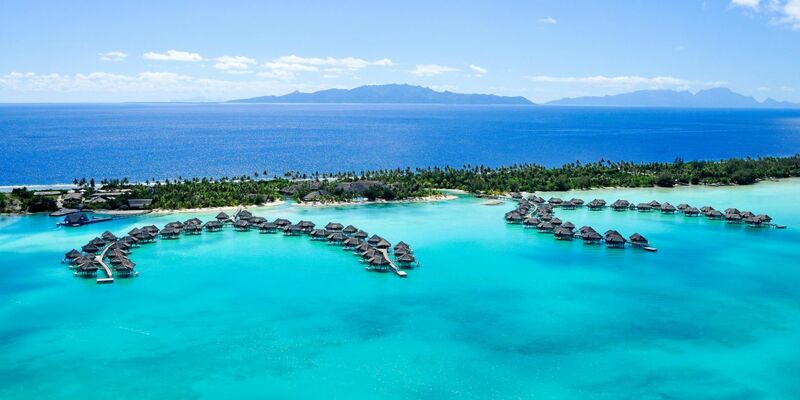 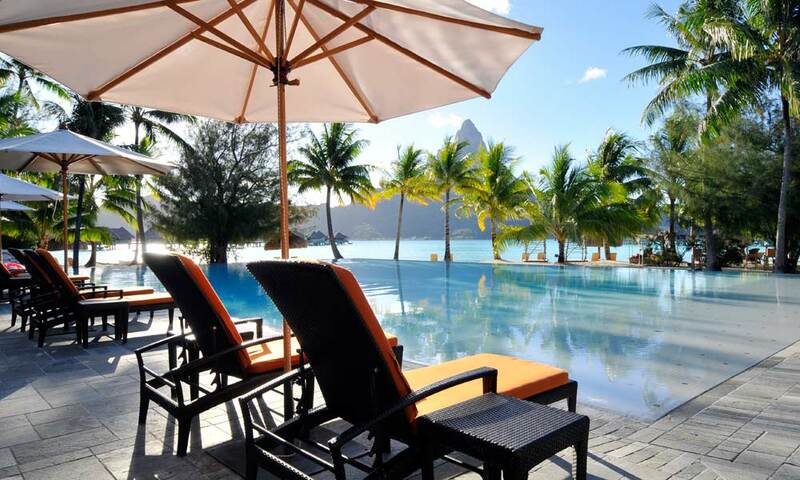 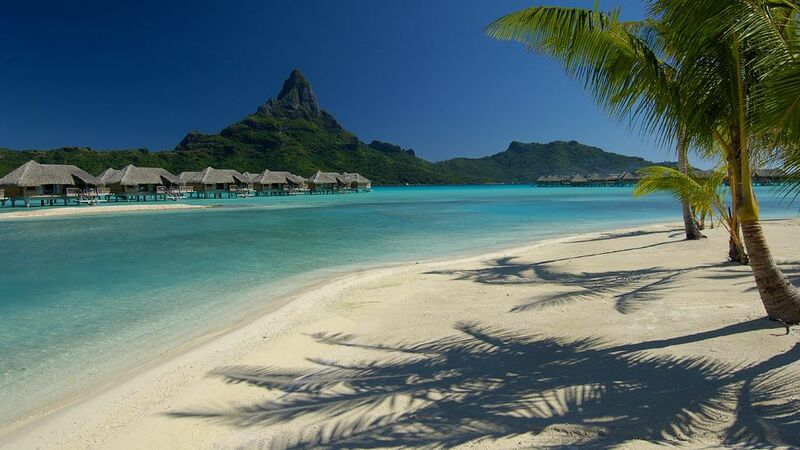 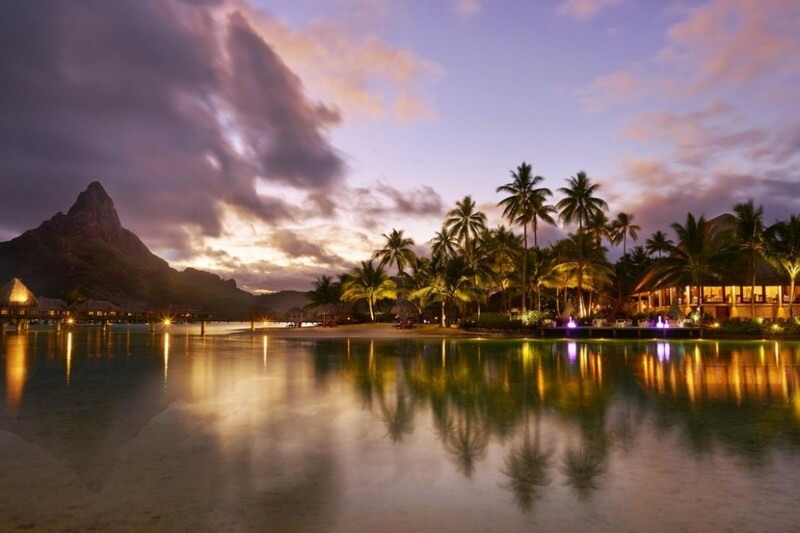 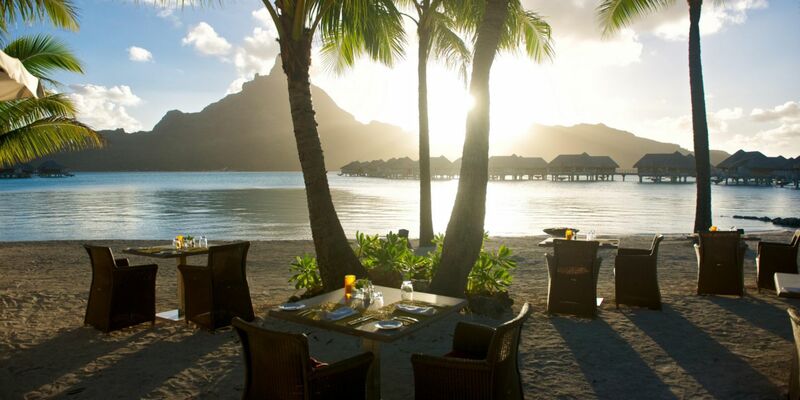 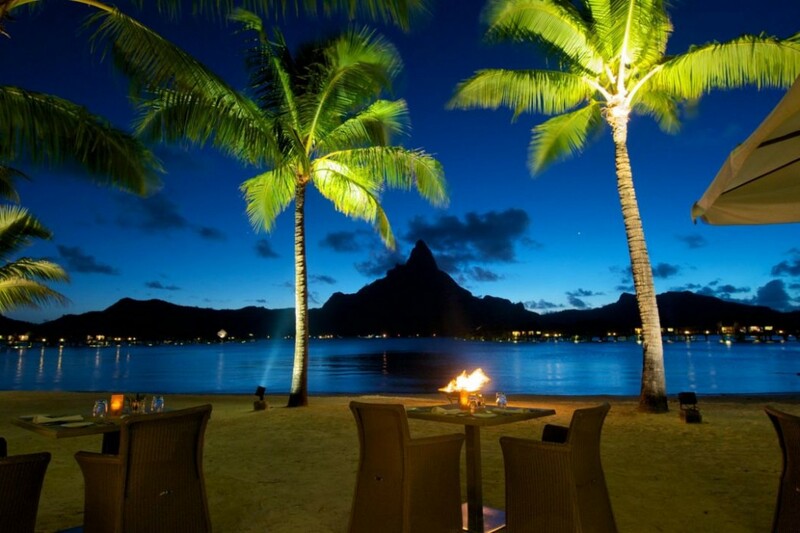 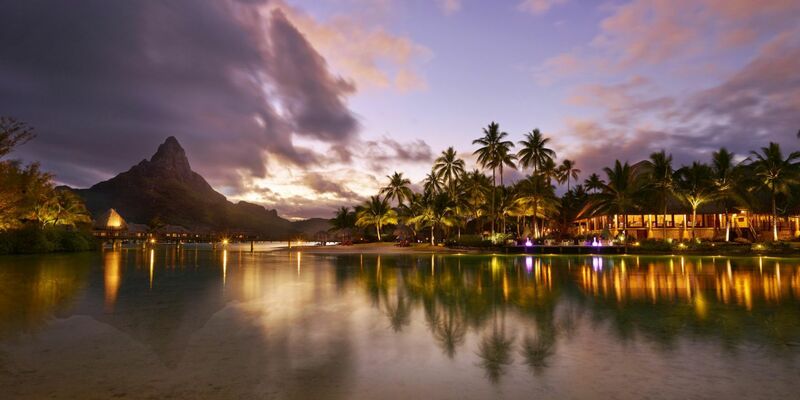 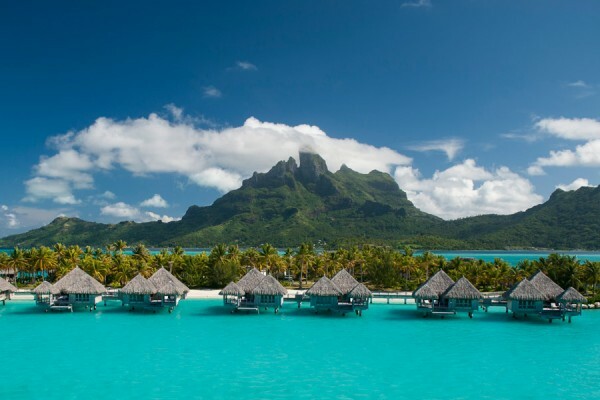 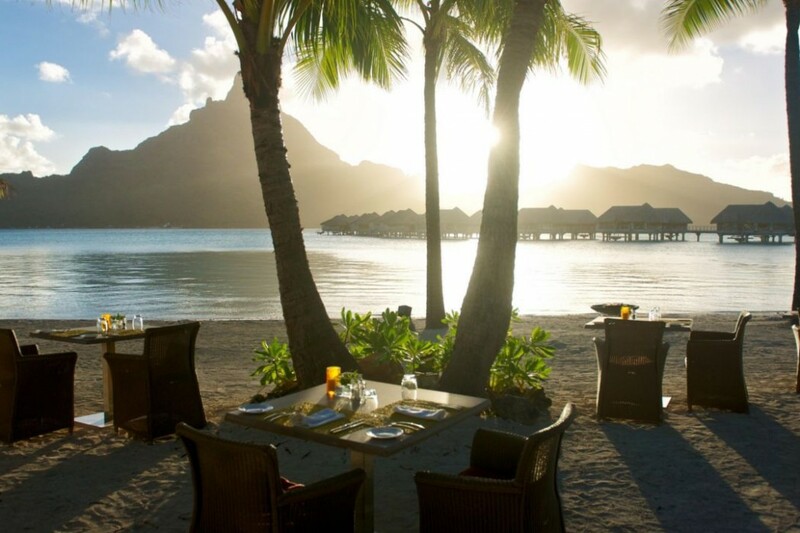 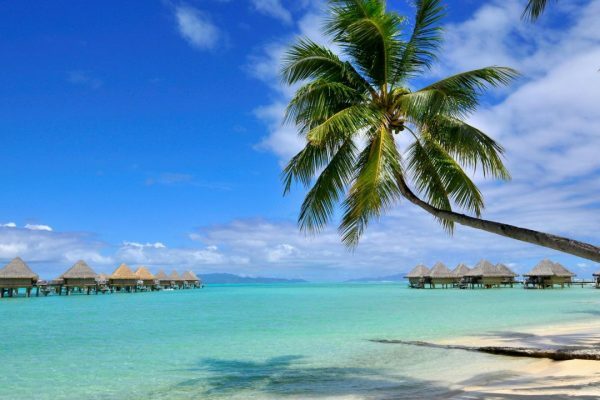 The Resort face the spectacular Mount Otemanu and boast incredible views of Bora Bora. 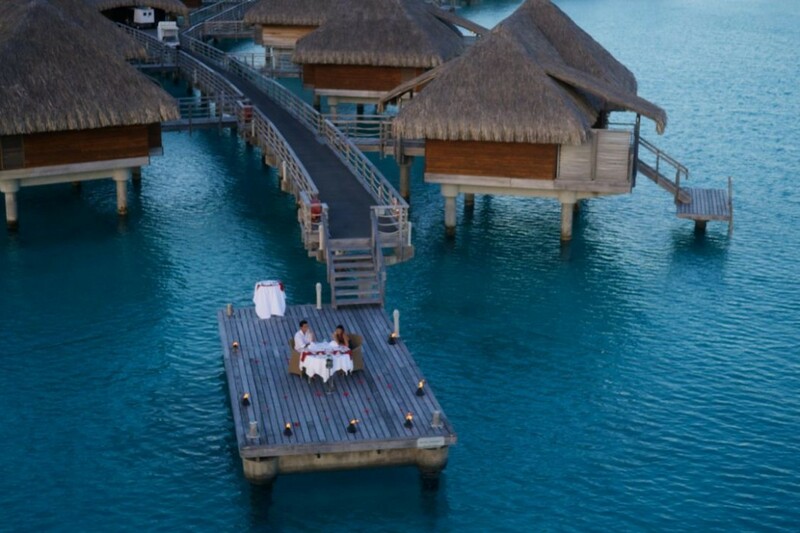 Two wishbone-shaped docks extend out to the lagoon, branching out to 82 rooms. 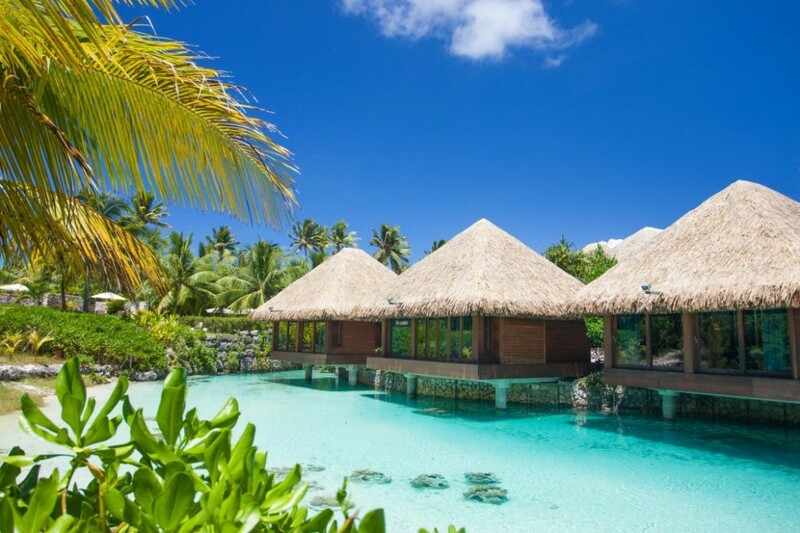 Here, modern architecture flourishes with an authentic Polynesian design, accentuating a color palette that reflects the sapphire blue of the surrounding lagoon. 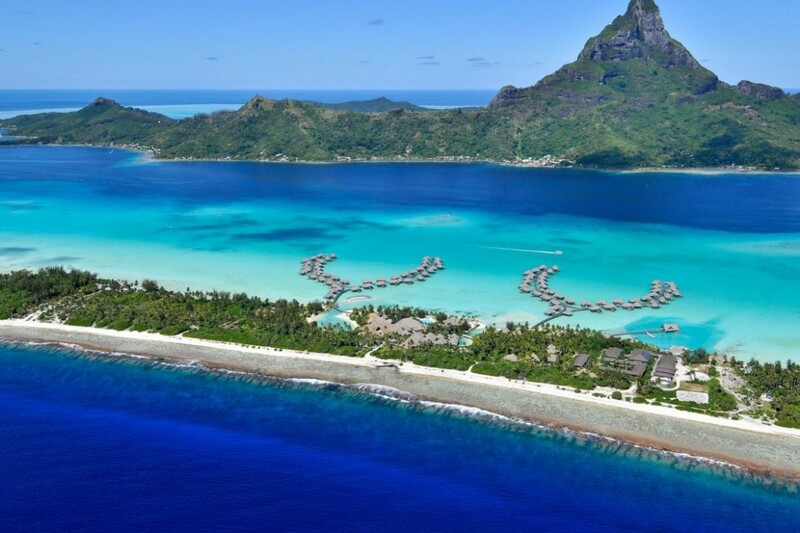 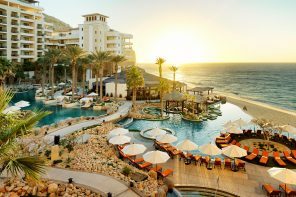 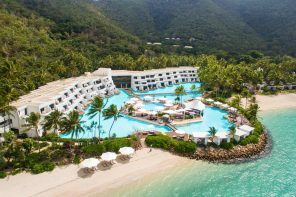 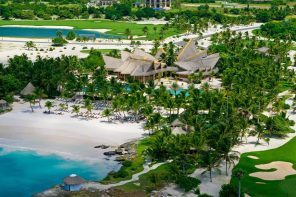 The resort operates on revolutionary technology that draws seawater from the depths of the ocean and reuses it for electricity. 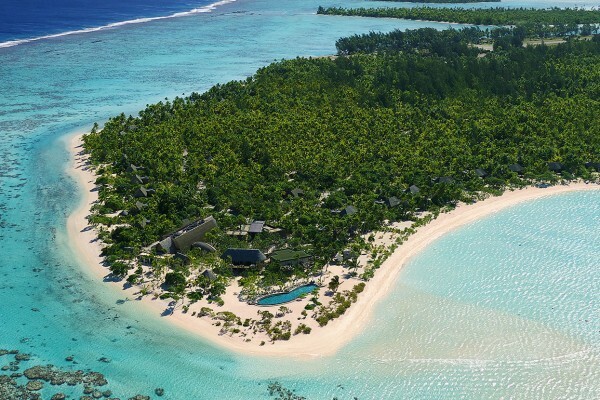 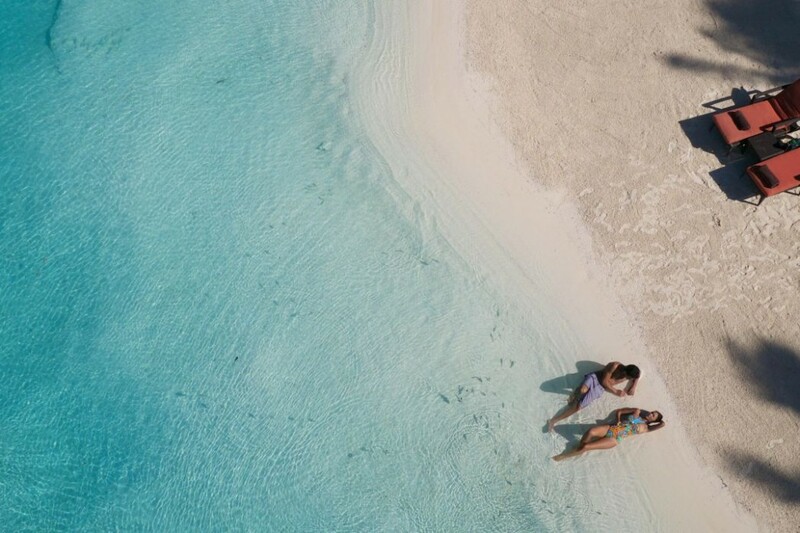 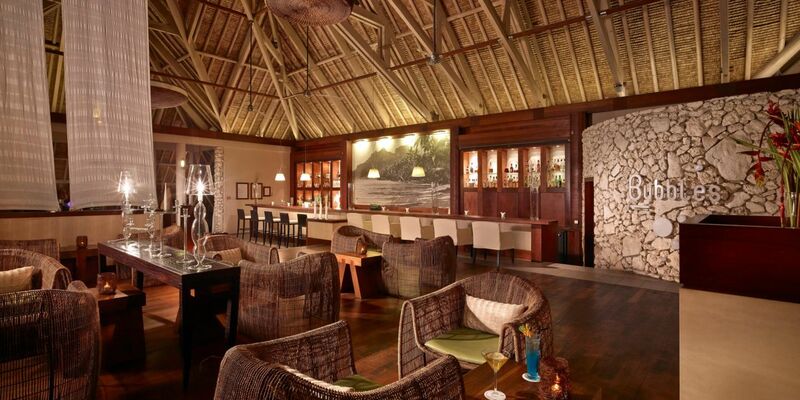 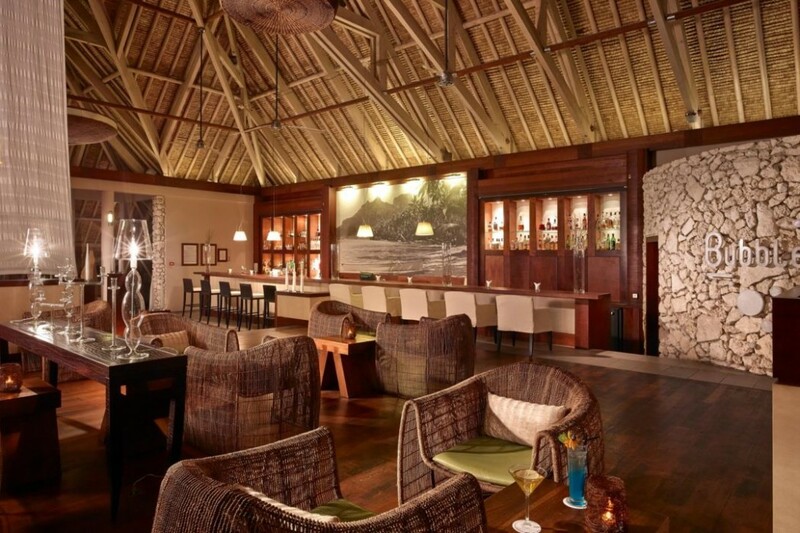 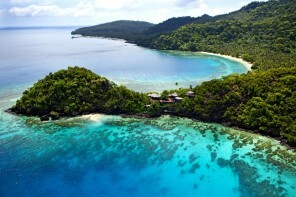 An eco friendly jewel in the South Pacific. 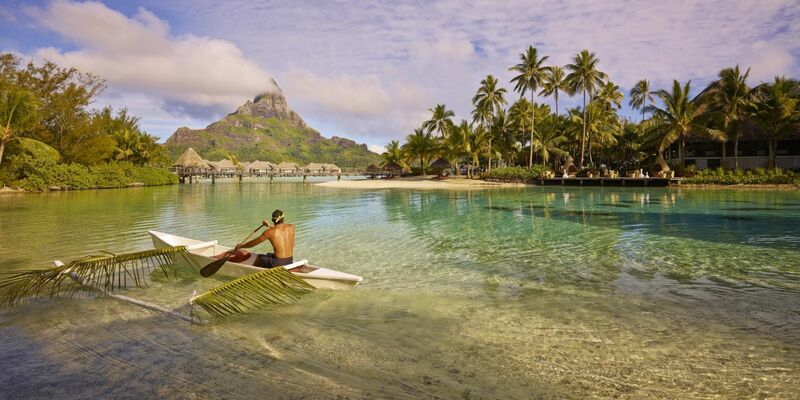 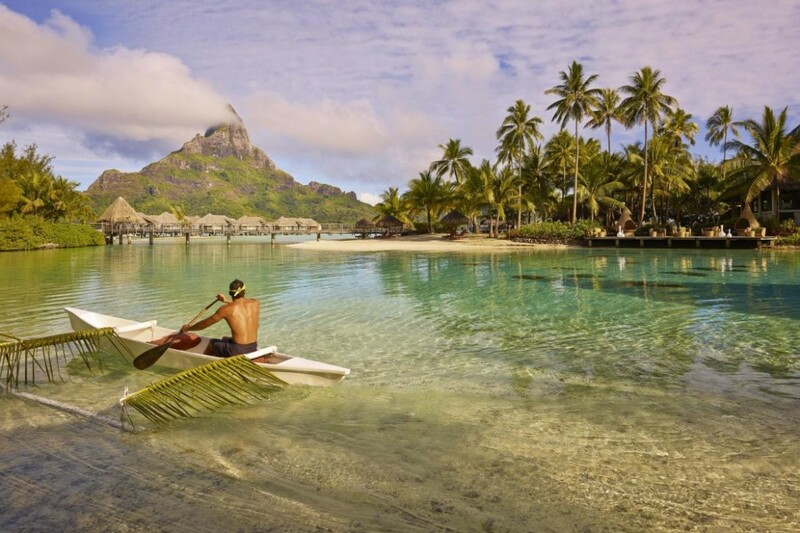 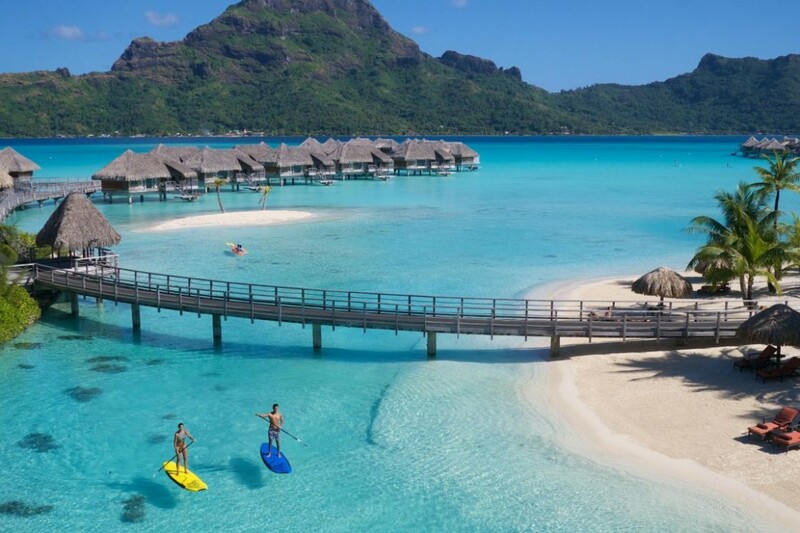 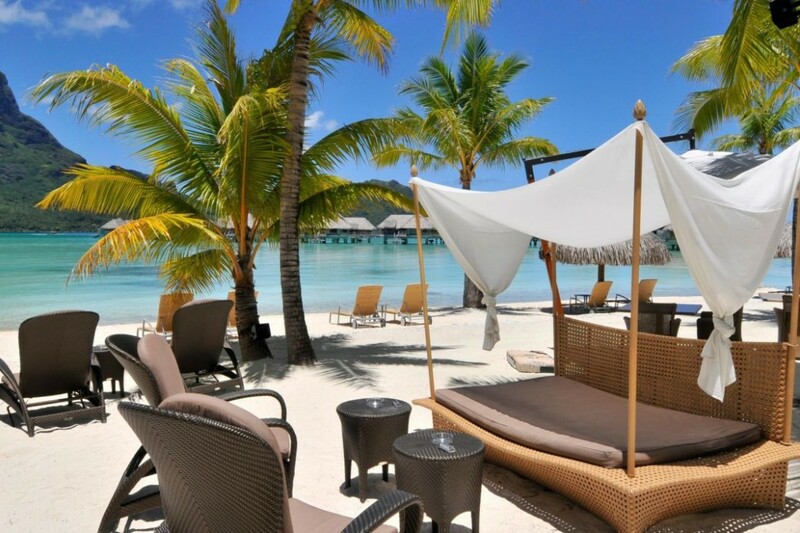 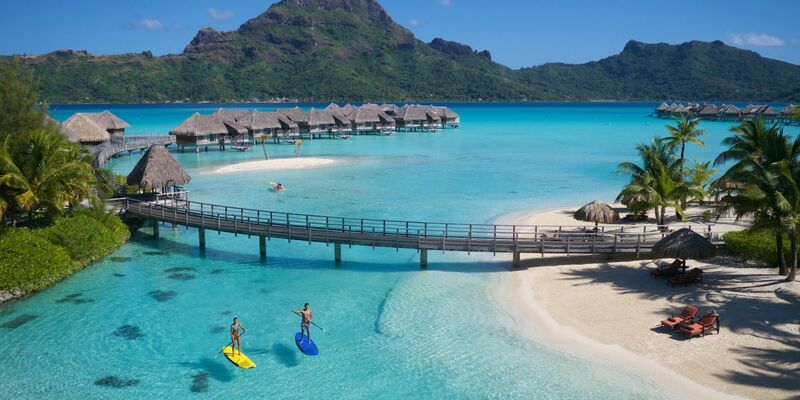 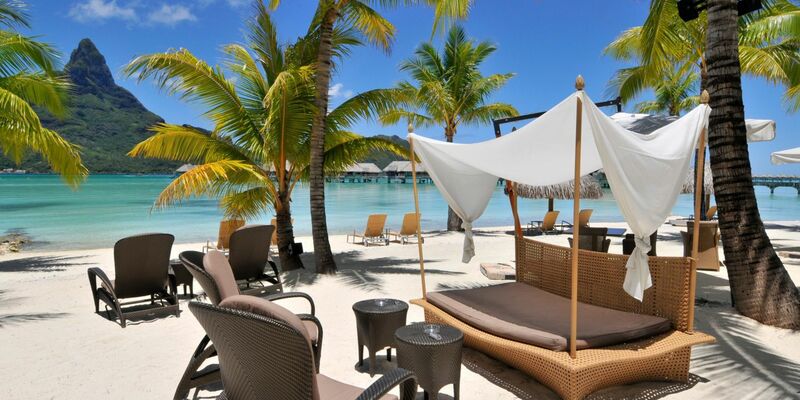 Guests at the InterContinental Bora Bora Resort can enjoy a day of diving, canoeing sailing, or kayaking in the crystal clear waters that surround the resort. 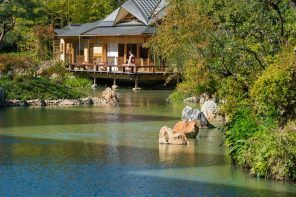 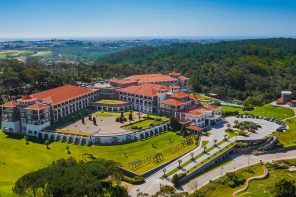 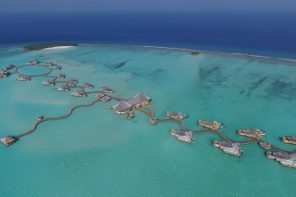 During your stay, take advantage of the resort s unique Balneotherapy and Thalasso therapy center, which offer treatments using deep sea water. 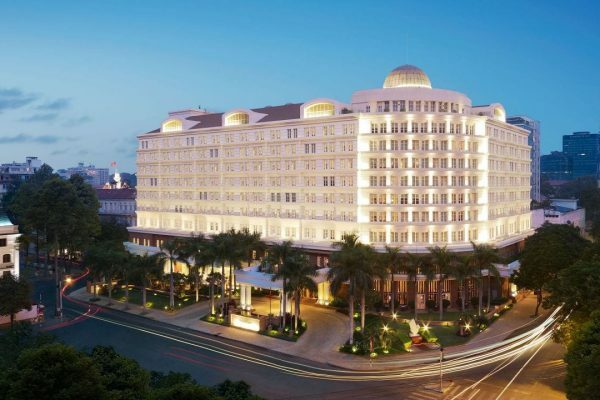 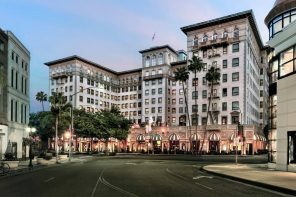 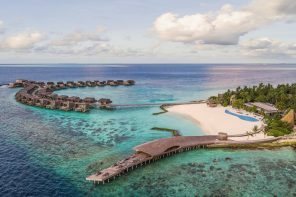 The Deep Ocean Spa is the very first Thalasso spa in the world to utilize the benefits of deep-sea water and minerals extracted from the Pacific Ocean at a depth of more than 3,000 feet in all of its signature treatments. 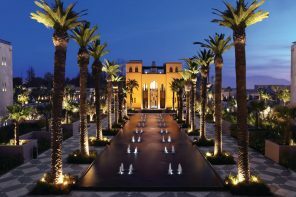 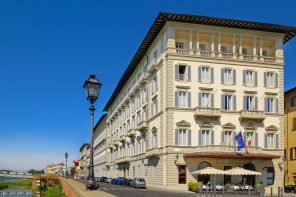 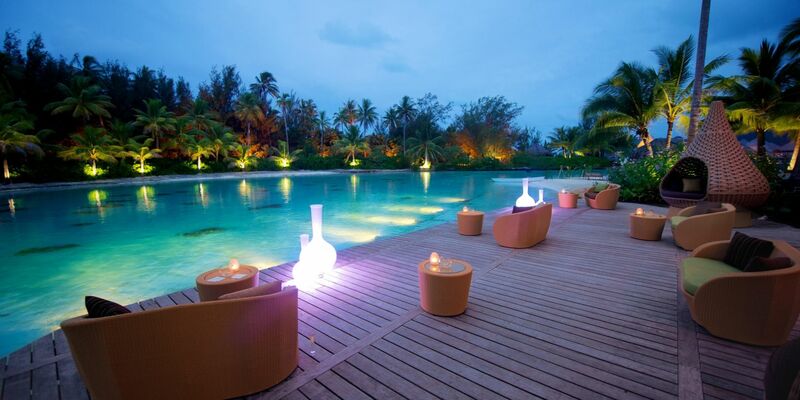 Next to the spa is a Turkish bath area and outdoor pool. 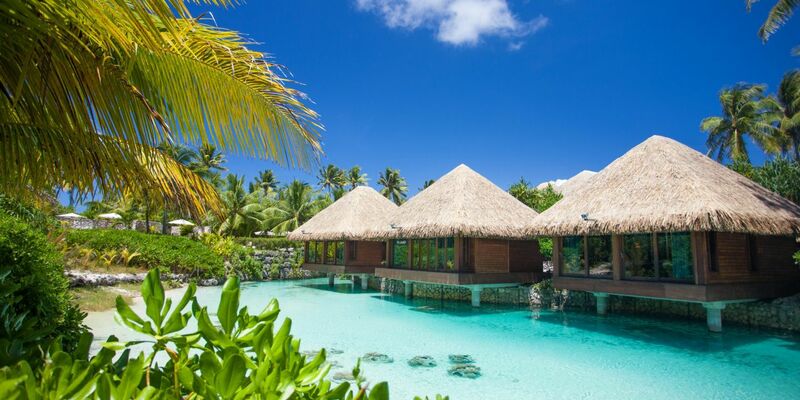 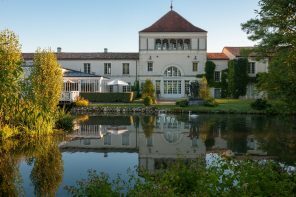 Tennis courts are located on-site at this property, so be sure to pack your racket. 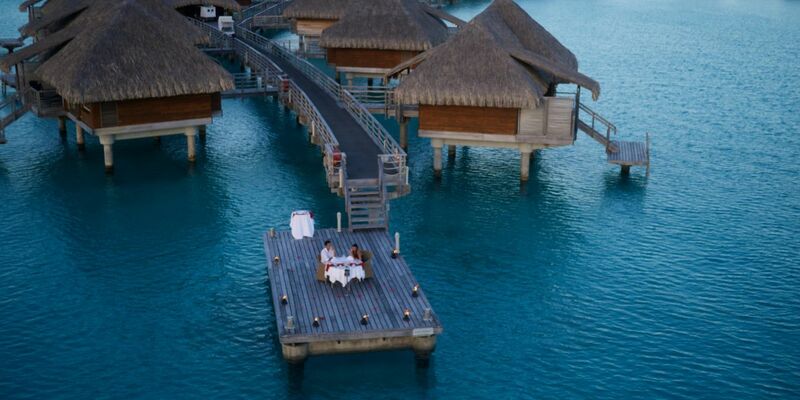 If you’re feeling adventurous, there’s a shark and ray feeding area as well. 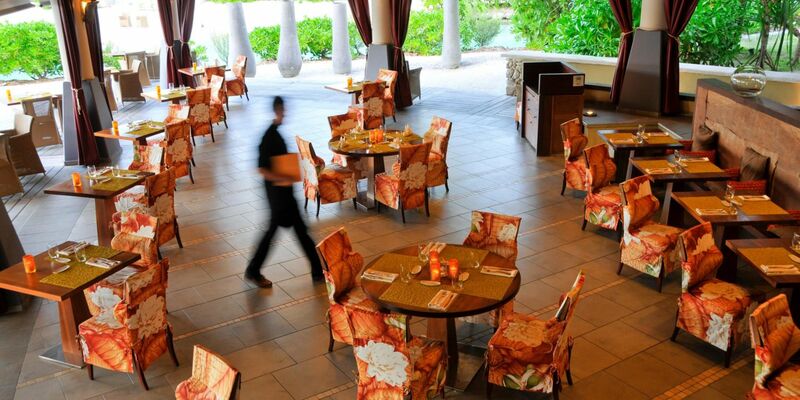 You can maintain your workout regimen at the resort s on-site health and fitness center, open 24 hours a day. 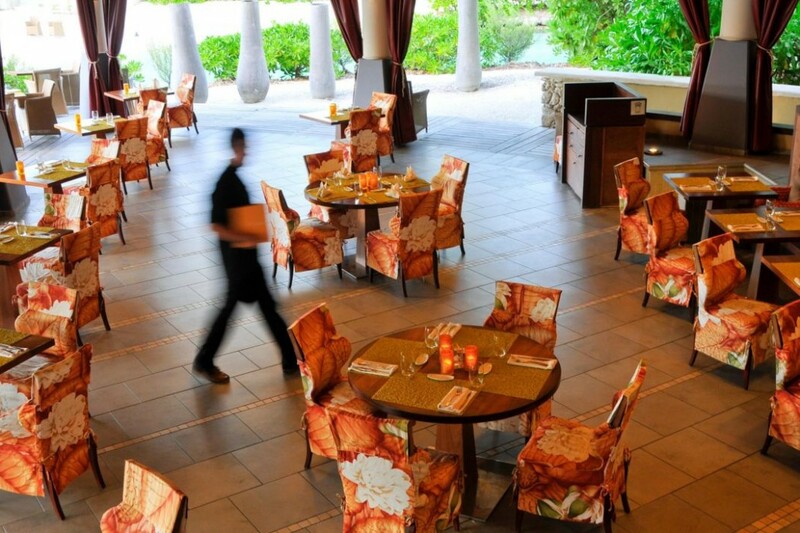 Keep up with any work you bring with you in the business center, where you have access to a computer, printer and fax machine. 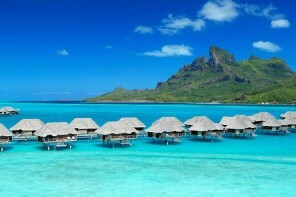 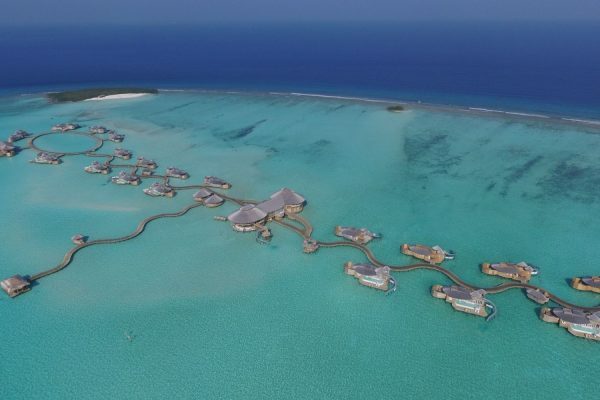 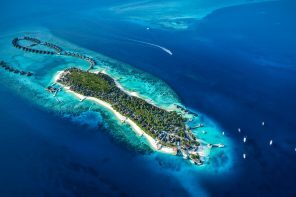 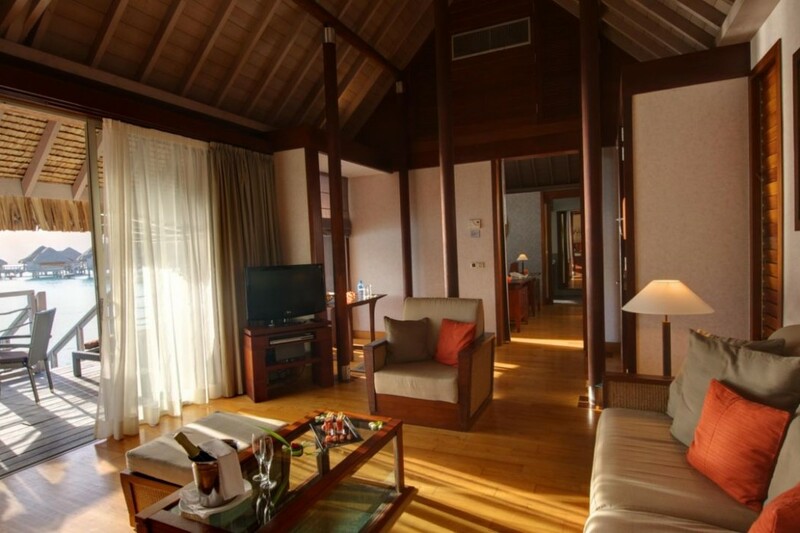 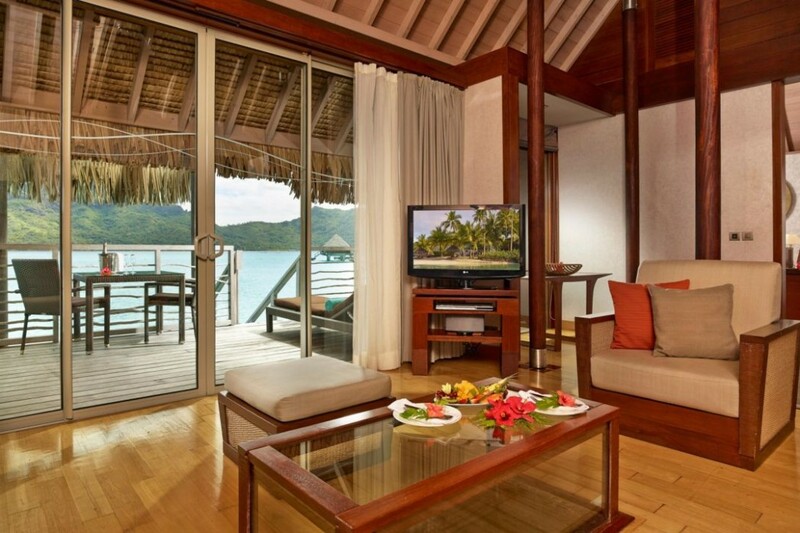 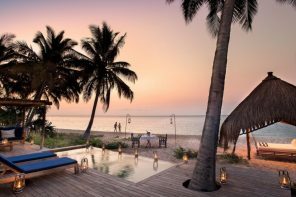 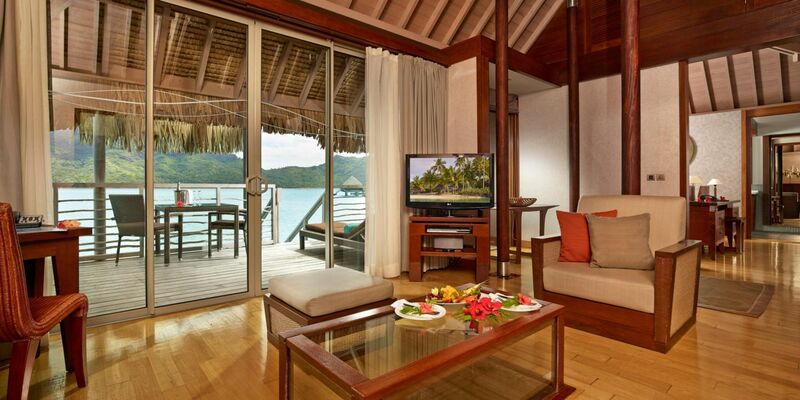 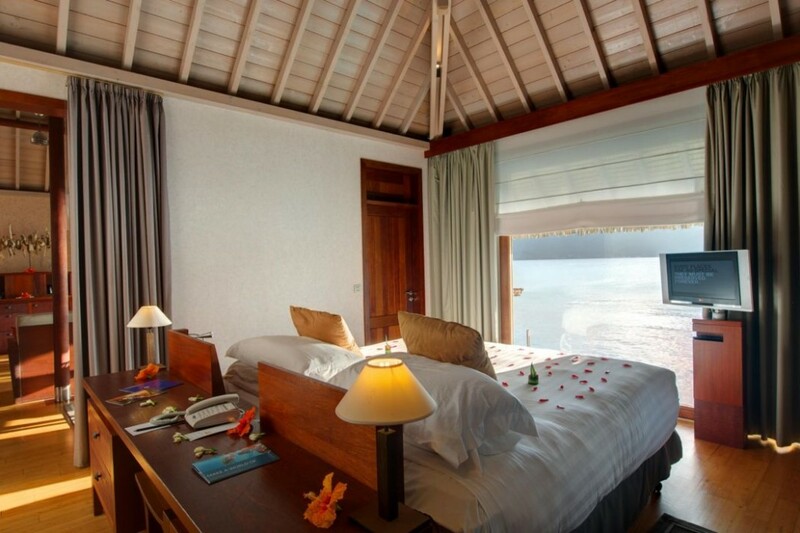 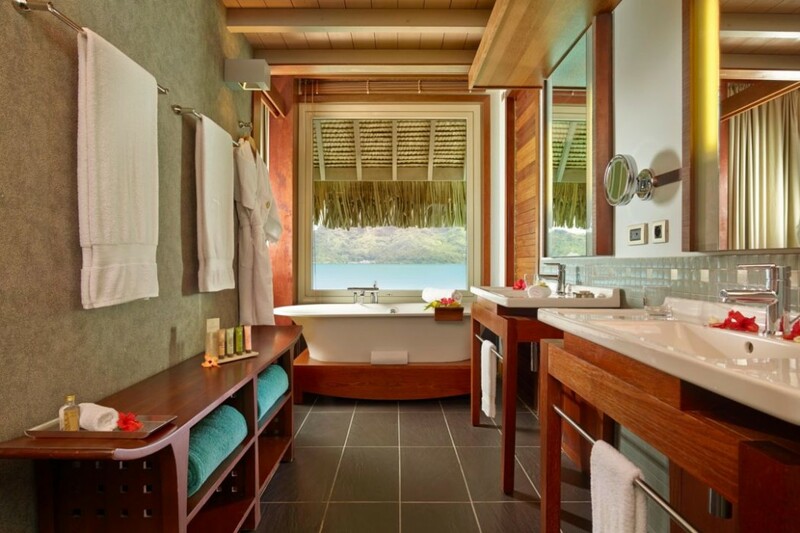 The Resort offers overwater villas and only three beachfront villas as the alternative. 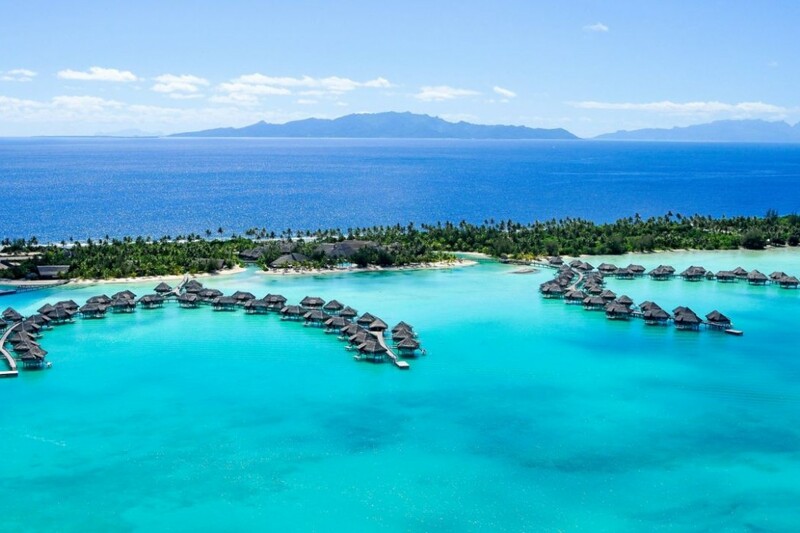 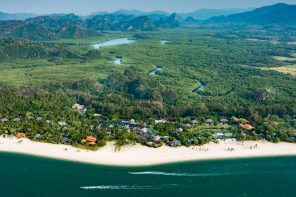 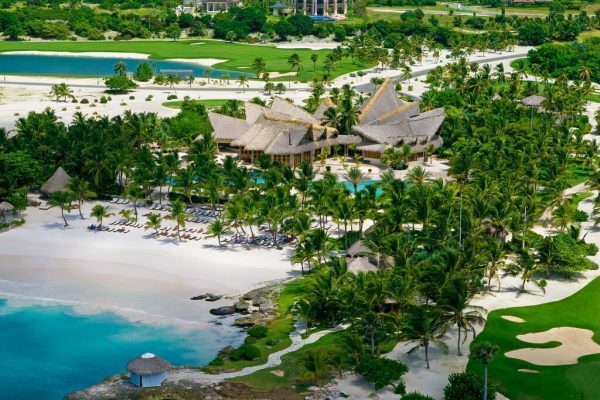 All 80 villas are perched over the lagoon. 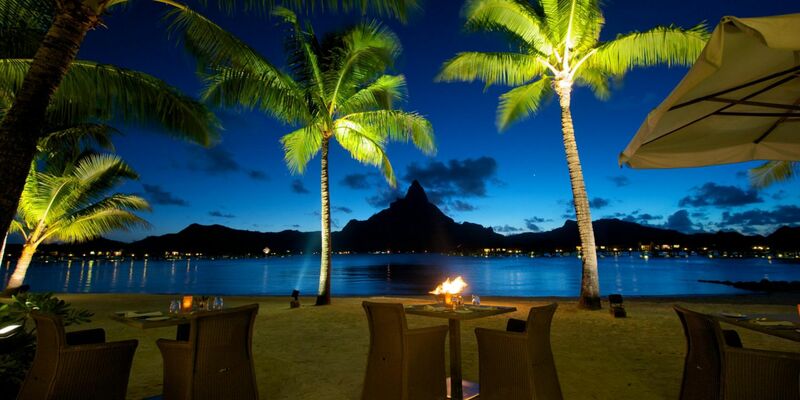 The only difference is in the location and the view. 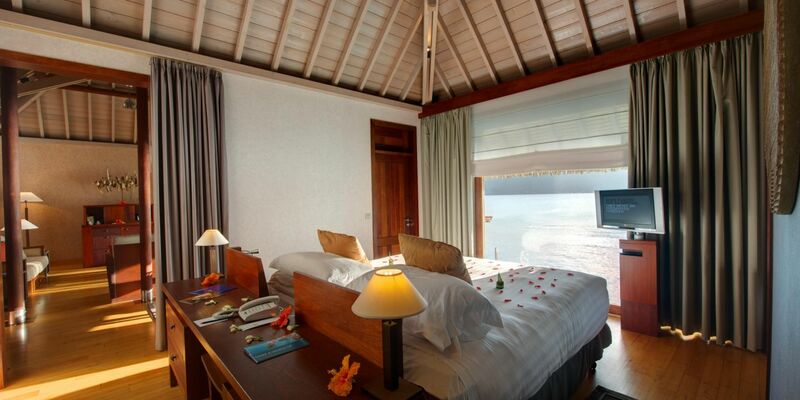 The Overwater villas with 1 King bed overlooking the lagoon. 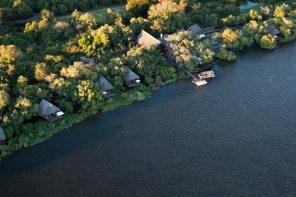 Features a shaded terrace, big pontoon with sun lounges, a freshwater outdoor shower, a living room with glass-bottom coffee table, two flat screen TVs, minibar, aircondition, internet access. 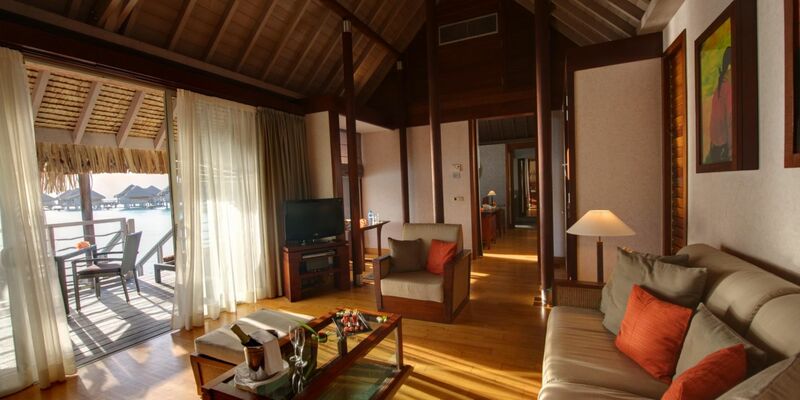 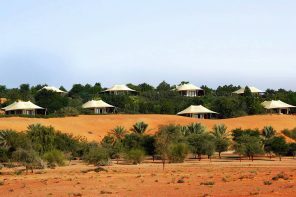 The private villas are all air-conditioned. 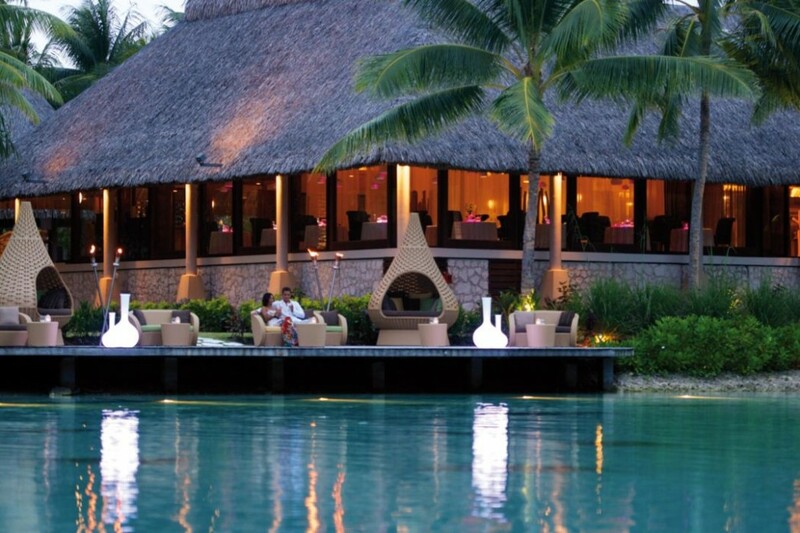 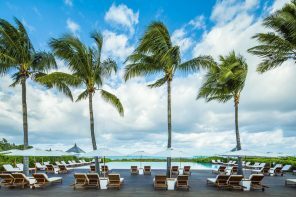 The resort boasts three fine restaurants: The gourmet restaurant Le Corail Bubbles Bar is a chic and trendy place to enjoy exotic cocktails or a glass of fine wine. 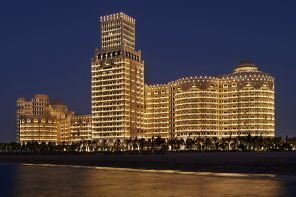 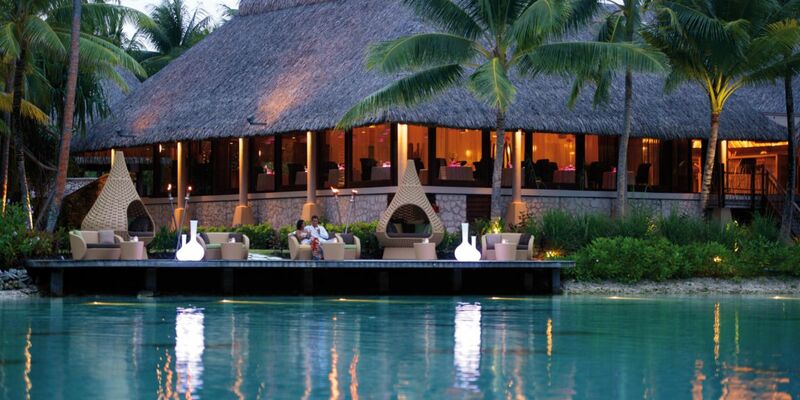 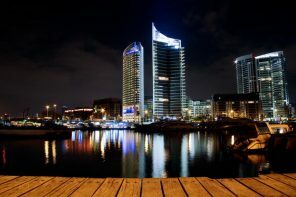 Guests at Le Reef Restaurant can dine on the terrace overlooking the lagoon or inside the air-conditioned dining room. 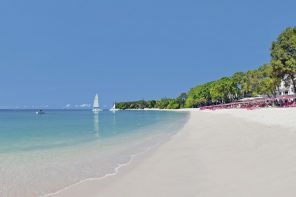 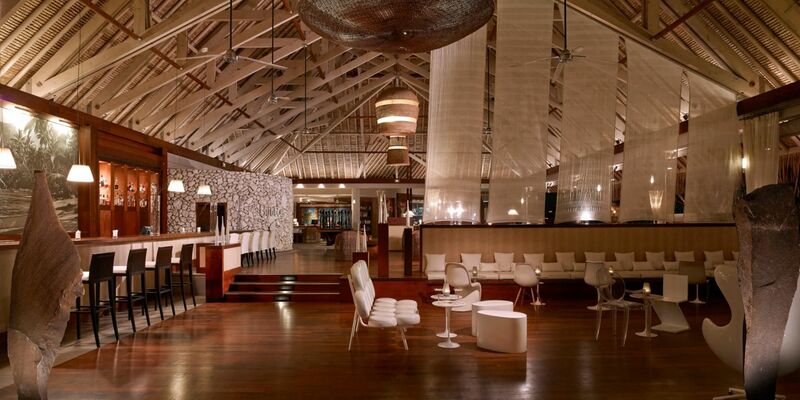 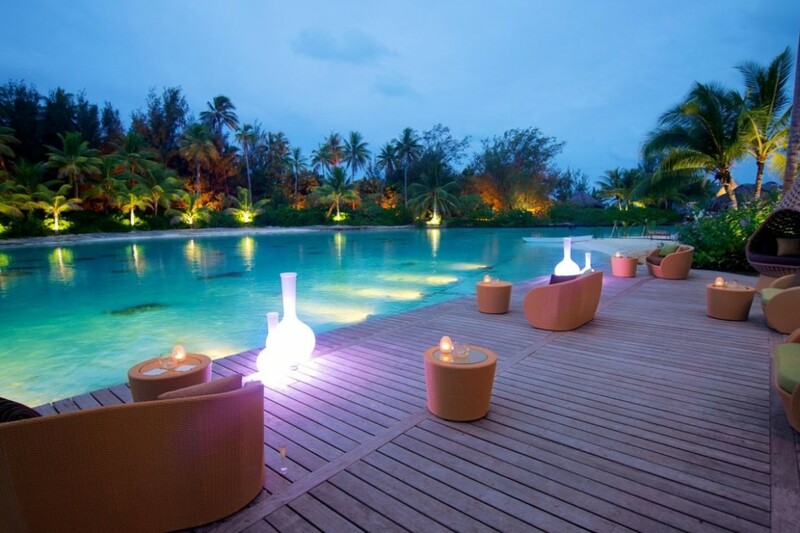 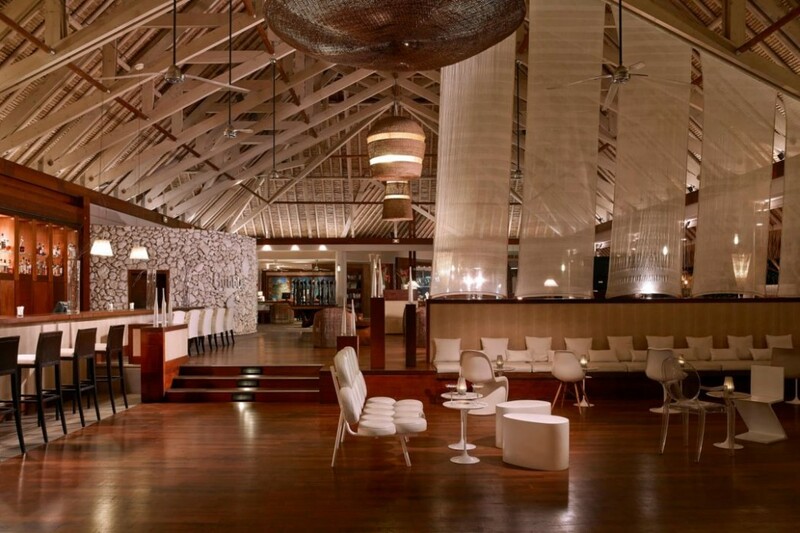 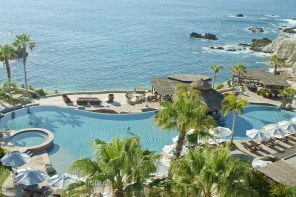 Le Sands Bar and Restaurant is located on the resort’s private beach.